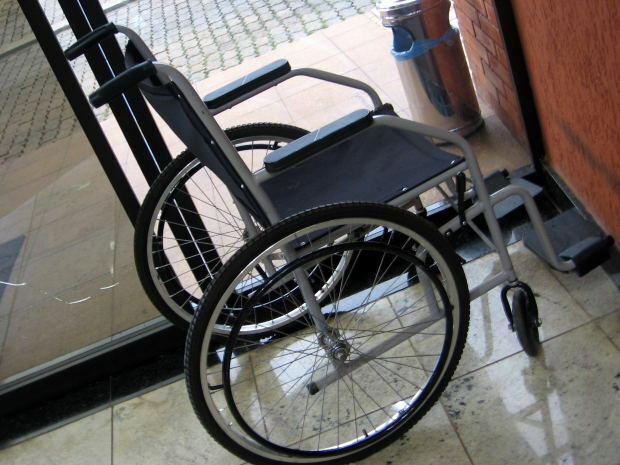 It’s been nearly a quarter century since the passage of the Americans with Disabilities Act. One would think the learning curve would be over. And yet, our Orange County workplace disability lawyers hear daily about cases in which workers with disabilities have been treated unfairly. Just in the last month, the U.S. Equal Employment Opportunity Commission has posted news of dozens of cases of discrimination based on disability across the country. We’ve taken a sample of these to highlight, just to offer up some examples to help you recognize discrimination disability when you encounter it. One of those cases was filed against a hospital in Columbus, Ohio. Administrators at the facility reportedly failed to accommodate and then fired an employee suffering from narcolepsy, a central nervous system disorder. According to to court records, the employee was diagnosed with the condition back in 2009, and was placed on medical restriction to only work a day shift position. The worker provided notice of her disability to her employer and requested reassignment to one of several vacant day shift positions for which she was qualified. However, rather than reassign her, administrators placed her on medical leave before ultimately terminating her. The law requires that employers must offer reasonable accommodations for disabled workers, except when to do so would place an undue hardship on the employer. That was clearly not the case here. Another recent example of disability discrimination involves an oil company out of Houston, Texas. This case also had elements of age discrimination as well. According to court records, the plaintiff was recommended by his former supervisor and current hiring manager for an open planner’s/scheduler position at the oil company’s facility. However, the director of the facility reportedly said on more than one occasion that he wasn’t inclined to hire the plaintiff based on his age (he was 56 years-old at the time) and the fact that his wife had cancer. The supervisor said he was concerned that the worker’s wife’s illness would interview with his ability to do his job. The statements were made both verbally and in writing via e-mails to the company’s top brass in New Orleans. The hiring manager was threatened with insubordination if he hired the older worker. Instead, the hiring manager tapped a 35-year-old applicant with no prior experience. Initially, a trial court ruled in favor of the oil company in EEOC v. DynMcDermott Petroleum Operations Company. However, the EEOC recently announced that the Fifth Circuit Court of Appeals reversed that decision upon appeal. The appellate court ruled that a summary judgment was not warranted because a reasonable jury could have found that the plaintiff might have been hired, but for his age and his wife’s medical condition. And finally, a third recent example of disability discrimination is out of West Virginia. There, a linen technician who worked at a small-town medical center was reportedly 48 years-old and had a back impairment when he applied to an open position as a multi-craftsman assistant. However, the center’s maintenance director, who interviewed the plaintiff, made a number of written and verbal statements to the effect that he could not hire the plaintiff because of his age and the fact that he was disabled. Such action, the EEOC contends, is not only bad for morale, it’s in clear violation of the ADA. Orange County employment lawsuits can be filed with the help of the Nassiri Law Group, practicing in Orange County, Riverside and Los Angeles. Call 714-937-2020.